Supporters of a "green energy" law passed by Missouri voters in 2008 are in court seeking to reinstate one of the statute's key provisions – rebates to individuals and companies that use solar panels to power their homes and businesses. Proposition C requires for-profit utility companies to generate 15 percent of their power from renewable sources by the year 2021, but it also bars utilities from raising their rates by more than 1 percent to comply with the voter-approved law. Rebates on solar panel use is one of the methods for increasing renewable energy in Missouri. The law was amended last year by the General Assembly in House Bill 142, requiring for-profit utilities to pay solar rebates through June 2020 and then gradually to phase out the $2-a-kilowatt rate within the solar rebates until it zeros out. 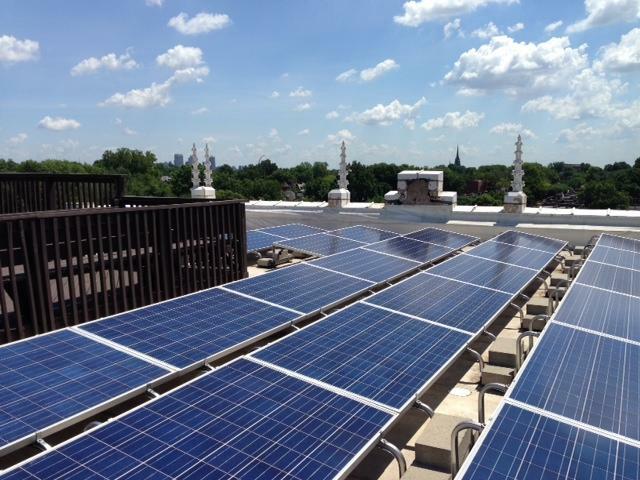 House Bill 142 also added language that allows utilities, with permission from the Missouri Public Service Commission, to stop paying solar rebates if the 1 percent rate cap is exceeded during the calendar year. The Missouri Coalition for the Environment and Save Our Lawfully Authorized Rebates (SOLAR) are suing the Public Service Commission over how it interpreted the amount of rebates owed by Ameren Missouri and Kansas City Power and Light, which have since ceased issuing new solar rebates. During arguments Friday before Cole County Judge Daniel Green, attorneys for Ameren Missouri tried, but failed, to have earlier testimony from an "expert witness" stricken from the record. That witness, identified as Karl Rabago, had provided a sworn affidavit stating, according to court records, that "the use of solar rebates does in fact offset a portion of the installation costs of a solar energy system and serve as an incentive to increase the use of solar energy in Missouri." Rabago is executive director of the Pace Energy and Climate Center in White Plains, NY, and principle of Texas-based Rabago Energy. Stephen Jeffery, an attorney representing SOLAR, argued that the Public Service Commission used the wrong criteria for granting Ameren Missouri and Kansas City Power and Light permission to stop issuing solar rebates. "The Public Service Commission continued to apply the (earlier) rule that allowed the utility to base these 1 percent cap determinations on this 10-year, forward-looking average," Jeffery said. "In reality, House Bill 142 changed that by saying (that) the utility can ask permission to stop paying rebates if its determination made on a calendar-year basis shows that it exceeded the rate cap." Jeffery also said that the cancelation of solar rebates has adversely affected home and business owners that had contracts to have solar panels installed on their properties. Officials with Ameren and KC P&L maintain that resuming solar rebates could result in higher electric bills because they would be forced to raise rates to make up for the money spent on providing the rebates. Judge Green is expected to issue a ruling at a later date.